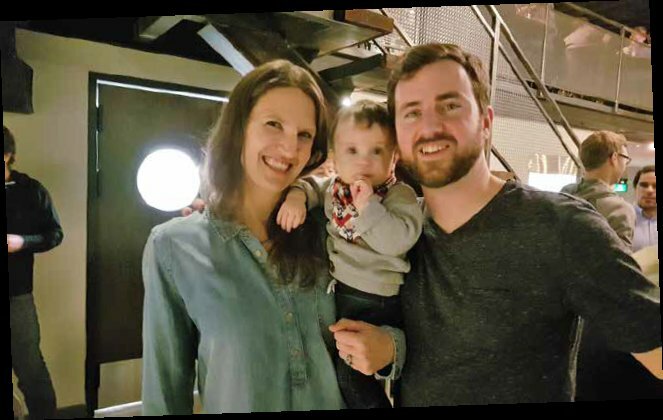 In this installment of our Mainstreeter interviews, we share the first impressions of several new residents of Old Ottawa East, some of whom have come from very near and others from very far. Our interviewees are at various ages and stages of their lives and have diverse life experiences and lifestyles. However, each of them has rapidly integrated into Old Ottawa East and they are not missing a chance to experience all that this community has to offer. The Mainstreeter: You are all newcomers to OOE, so first and foremost, a warm Mainstreeter welcome. Please tell us in which community or city you last resided before moving here, and a little bit about the circumstances that led you to move to this community? Genevieve Gazaille: I lived in Gloucester for the past four years, but prior to that rented an apartment for about two years near the Canal in Old Ottawa East on McGillivray Street, and I knew I would come back to this neighbourhood. I really liked the fact that it’s a residential neighbourhood in the heart of the city, and it’s so easy to get to anywhere in Ottawa. We went to Gloucester because we wanted to buy a house, and it was cheaper for us to go that route. But the fact is that I missed the city. I’m someone who likes to walk, to bike, and I felt like we were living in suburbia surrounded by Costco’s and Walmart’s and having to take the car all the time. Lorna Kingston & Peter Tobin: We lived before in a part of Alta Vista in a little enclave called Applewood Acres close to Billings Bridge Plaza and the Riverside Hospital. We wanted to be out of the house before we were too old, and we wanted to downsize. The Alta Vista house really became too large for us for 50 weeks a year, and too small for us the other two weeks when our grandchildren came to visit! Judith Eigenbrod & Rod Hughes: We just moved from Vancouver where we both lived for almost ten years. We were always in the rental market. Most recently we lived in some ways in a very similar neighbourhood to Old Ottawa East with good community vibe. But we knew that we could never afford to live in a neighbourhood like that as owners. So, once we had our little guy and started thinking about different places to live, we added Ottawa to our list, and we found that there were some great career opportunities here. The Mainstreeter: In which part of OOE have you landed up, and why? 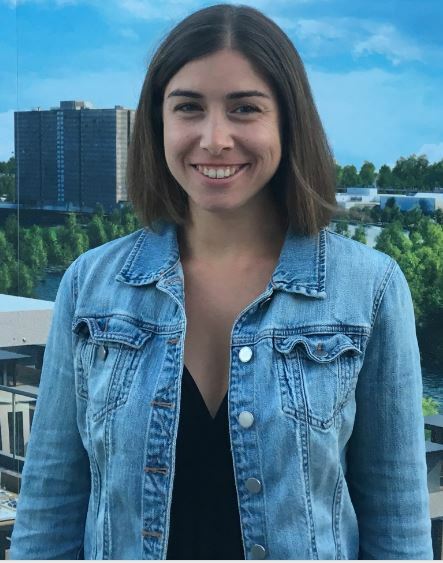 Genevieve: When they announced that Greystone Village was starting up and was going to be built in Old Ottawa East, we decided to check it out because we thought it would be a good opportunity for us. We had looked at buying houses in OOE, all of them needed renovations and they would still be too expensive for us at that price and that time, so we felt that Greystone Village would be a good solution for us as a couple who didn’t have children. That’s how we came back to this community. Lorna & Peter: We decided to downsize about three years ago. After looking around a bit, we purchased a unit in Domicile’s Corners on Main about two years ago. We looked at the location, the design of the building and the units, and we were able to choose a two-bedroom condo with a south and east exposure with views of the river. We’ve been in our new unit since the end of January 2018. Judith & Rod: When we first came to Ottawa, we didn’t know much about the various neighbourhoods, and our friends who live on Drummond just north of Clegg mentioned that they really liked their neighbourhood. So, that got us looking here. We heard a lot of good words about the community, and once we saw it, we really liked it. We looked at two places here, and there certainly wasn’t a lot of availability in what we were looking for, but this house on Brown Street was one of the two we saw, and we really liked it. The Mainstreeter: So, having made your decision, what are your first impressions, good, bad, right, wrong? And why? age, some with young children, and people who are retiring and looking to downsize to a certain extent. Lorna & Peter: We certainly have no second thoughts about our decision. We enjoy the neighbourhood, and we’re newcomers to Old Ottawa East only in a sense. Peter grew up in Old Ottawa South on Riverdale close to Sunnyside as a teenager and even before that we lived on McLeod Street near the Canal and we came to Mutual Dairies and Walker’s Bread. When we lived in Alta Vista, we biked through Old Ottawa East on the bike paths to get downtown. We are now doing a lot more walking and biking, and the bus is handy. At first, we thought we were giving up a lot of space in this downsizing, but we now like the fact that we are comfortable with a lot less space, it’s a lot easier for us. Judith & Rod: We’ve been in our home since December 1st, but we got to Ottawa in October, and we lived in an Airbnb before moving in. I think this has been really good for us, possibly even more so than we expected. It’s always hard to move into a neighbourhood in the winter because things are so quiet,but it’s been great to see Spring come, and have everyone come outdoors. It’s nice that there’s so many young people with young kids, and we’re so close to the Canal and the river, parks and Sunnyside library and all those bonuses that come from being in between Old Ottawa South and Old Ottawa East. The Mainstreeter: What are the things that you have most enjoyed about OOE, and perhaps weren’t present in your old community? Lorna & Peter: I think it is the proximity to the Canal and the Rideau River that we have now that make a big difference. We are a lot closer to downtown, and we have a lot less work to do than when we owned the home in Alta Vista. One big thing we like about Old Ottawa East is the wonderful community association and the involved people here, and not just the seven or eight people on the board, but also the people that come to meetings, that are always well-attended. Plus, the Mainstreeter is a very good community newspaper, and we are always dropping into places where we can pick it up and read it. The Mainstreeter: Conversely, are there things about this community that you wish were different or that your previous neighbourhood had that you enjoyed? Genevieve: One thing that I found that could still use some improvement in Old Ottawa East is access to public transport. I understand that the new LRT won’t be too far moving forward, but other than that we seem to have just one main bus line linking only to the Rideau Centre. I would hope sometimes there was an option to bypass the downtown area to get to locations like Tunney’s Pasture or to parts of Nepean. Lorna & Peter: I guess we miss seeing the children on the street. We lived on a small street of about twenty houses, a close-knit community, so we knew what was happening in the neighbourhood. We don’t have that here at Corners on Main. We’ve certainly met people here and we’d like to get to know them better, but it’s not as if you’re sitting outside and having tea and a neighbour stops for a chat for five minutes or half an hour. That’s something we miss for sure. The Mainstreeter: In making your decision to come live in OOE, what were the factors that motivated you most? Genevieve: I think walkability and mobility was a big factor for us in choosing Old Ottawa East. Another is the idea of being closer to the action. I feel that when you live further away from the centre of the city where things take place, you become a little lazier, perhaps. You know, when you live far from downtown you may be interested in going to Bluesfest, but maybe it’s just easier to stay at home, but if I’m closer to the action, it’s easier to decide to go. I’m a curious person by nature, so I like to be exposed to new things and when you’re this close to downtown it makes it more interesting than in the suburbs. Lorna & Peter: Well again, the key factor was not moving from Alta Vista to Old Ottawa East, rather it was moving from a house that was too big to a place that is smaller with less work involved in upkeep. What factored into that of course was advancing age and, to some extent, infirmity. There are stability issues with knee and hip replacements. If one of us starts falling, we don’t want to be falling down stairs! Judith & Rod: It was career, and extended family and friends here. When we were here last summer in Ottawa for a wedding, and we realized how many people we know in the city, and we both grew up in Ontario and enjoy the lakes and rivers; it’s a nice size city with access to outdoors and having Gatineau nearby, and interesting job possibilities – all these things played into our decision. The Mainstreeter: You are arriving here at a time of considerable community change and flux – Main Street redevelopment, Clegg Street footbridge, a whole new multi-home development at Greystone Village, prospects of increased commercial retail and other less tangible changes. To what extent did these changes influence your home-buying decision? Genevieve: I am very excited that we are going to have a footbridge! The neighbourhood was a little disconnected before, which I suppose was also a benefit, because I loved the tranquility, but at the same time there are a lot of people who don’t even know where Old Ottawa East is. I do like the idea that going to Lansdowne for example will now be a direct route instead of a big circuit to Bank or to Pretoria Bridge. And it will encourage some people I hope to let go of their cars a little bit more. Lorna & Peter: The fact that Main Street was being redeveloped into a proper main street was attractive to us. I remember that when I used to bike down Main Street, it was one of the worst streets in the City. I used to teach at Woodroffe High School and I would regularly bike down Baseline on the way there, and I actually found that street safer than Main Street. Judith & Rod: We view all these developments as very positive. For us, we’re excited to hear that a bridge is going in, and we can get to shops and restaurants quickly in the Glebe. For Main Street, maybe there’ll be some great shops and restaurants, and for Greystone Village, maybe things will be a little livelier down there, people walking around, heading to local coffee shops. It’s all good stuff! All in all, we absolutely love it here. It feels very safe and stable. You feel like you are far away, a little forgotten spot between the two water bodies.